Guy Cooper, via his business The World as I Am, has provided essential work for the rehabilitation and revegetation of many regions including around the B4C-owned property at Mt Barney. We asked Guy a few questions about his work. How did you start out working in the environment. Was it always the direction you planned to take? After high school and working in my father’s nursery for a few years, I started a course in Eco Tourism. My Fauna lecturer introduced me to the Gold Coast and Hinterland Environment Council where I volunteered for the next week 4 to 5 days a week. During that time, I spent much of my time with a true environmentalist and habitat expert, Johnny Palmer. I spent the next year following him from project to project, volunteer project and educational guides. From this Gecko Regen was formed and the rest is history. It wasn’t the direction I planned, but the direction I felt. I have worked in other industries but would always come back to the environment. There is nothing more satisfying working with what you love, knowing that everything you do, be it funded or volunteer, is making a difference. Weed reduction – what are your methods? Techniques implemented differ depending on a number of environmental factors and can vary from day to day. 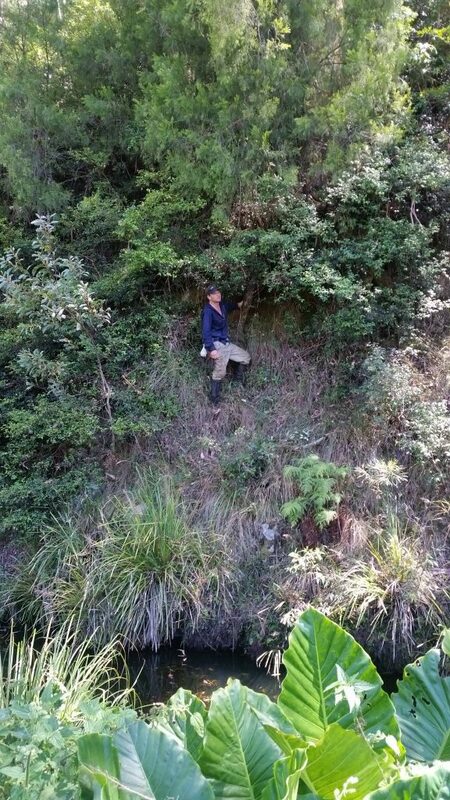 The key to revegetation with integrity is the ability to read the environment and adjust accordingly. Environmental factors determine which approach is required for the best outcomes. These factors include aspect ratio, wind speed and direction, soil type, proximity to water, weed density, weed species, maturity of invasive species, native regeneration which treatment area, weather, season and site access to name a few. My preferred techniques are manual removal or cut and paint simply because herbicide distribution is keep to a minimal and guarantees successful treatment of target species. Foliar spray is used when required but only when there is little to no presence of native species. We also use splatter gun technique but this method requires ideal conditions. For larger more mature species we use the frilling technique to avoid felling trees therefore damaging the eco system. What are some of the big challenges for the Mt Barney region? Firstly access. The access track to Mt Barney is 4WD only and even with a 4WD, the road is terrible. Wear and tear on vehicles are costly. Remoteness. Once in the valley you are the only ones there and help is a long way away. If anything goes wrong, you are in trouble. The heat in the valley in Summer is extreme, particularly when the humidity is high. Evaporation from the creek add to this humidity and makes it extremely uncomfortable to work in. Then there are the environmental factors and Mt Barney throws everything at you. Ticks and leeches, snakes and spiders, jumping bull ants, mosquitoes, stinging flies in the thousands and that was just the critters. Stinging nettle in very high density along the creek banks with hairs that penetrate the skin and sting for an hour, and Gympie stinging trees. Wild Raspberry that cuts through any exposed skin, Coxspur with thorns as long as matches. Reeds in the creek line that are as sharp as razors. 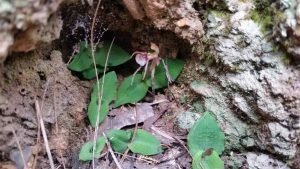 And best of all, if you aren’t paying attention your legs can be tangled in the understorey creepers/climbers, resulting in falling over and experience a combination of any of the above. What are your rehab/reveg plans over the next 6 or 12 months? For Mt Barney, the Green Army will continue works from where The World As I Am left off last season with focus on the continued control of Moth Vine as there are 7 years of seed bank within the soil. Formosa lily and Lantana control is also priority. Barbed wire fence removal is scheduled to prevent injuring native fauna and track maintenance is scheduled for the next 6 months. As for The World As I Am we will continue working along non-profit organisations such as B4C and Tamborine Mountain Landcare. 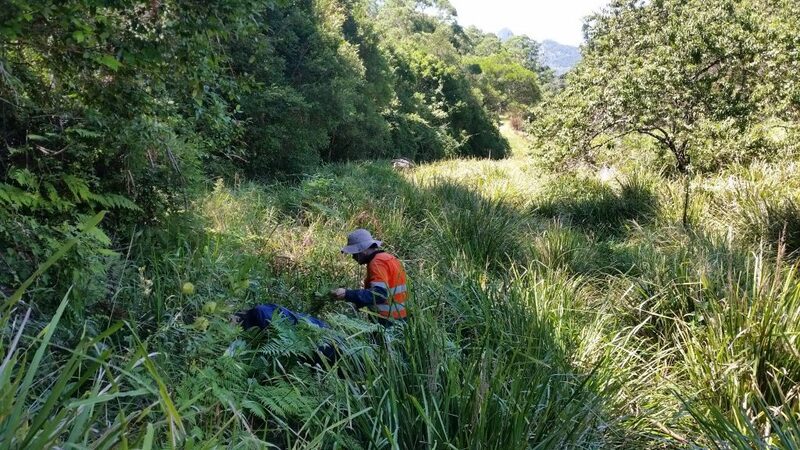 Government sectors such as Queensland Parks and Wildlife and any other privately own or company owned habitats that have the best interest for the environment. We currently contract to QPWS at Springbrook, Burleigh Heads, Mt Barney/Boonah and Gatton. Non Profit companies such as Bulimba Creek Catchment Committee, Tamborine Mountain Landcare and Ngarang-Wal G.C.A.A Inc., Queensland Trust for Nature but are always looking to support more. We also contract to Scenic Rim Council working in their conservation parks. We manage many privately owned properties as well. But regardless who we work for, time is taken to assess the best environmental outcome prior to implementing works. Green Army, Guy Cooper, Mt Barney, World As I Am. Salvin Creek – your help needed!